Valerie Strau, writing in The Washington Post (12/21/17), describes Google’s findings regarding successful employees and teams: The surprising thing Google learned about its employees — and what it means for today’s students. Her focus informs educators, parents, and students about important skills needed to increase work place success. While STEM skills and understanding are important, there were seven skills that ranked above the STEM skills. As I read through the list, it struck me that these skills are critical in having high functioning PLCs and a school staff that collaborates as a team rather than franchises. Being a good coach – Effective teachers serve as coaches to their students, providing the appropriate feedback at just the right time. Yet, many teachers struggle in providing coaching to their colleagues. I would add that along with being a good coach, teachers need to be highly coachable (see my earlier blog on coach-ability). School leaders need to create cultures and opportunities for teachers to continually advance in coaching and coach-ability skills and culture. Communicating and listening well – Teachers use listening and communicating skills in building relationships with students and when conferencing with parents. They use questioning and paraphrasing strategies to identify the “real issues” behind a behavior or statement. They respond with empathy, support, and approval. Teachers need these same active listening processes when collaborating with colleagues. Possessing insights into others (including others different values and points of view) – As classrooms have become increasingly multicultural, effective teachers have developed a consciousness to stop and consider how their words and actions and those of their students can be viewed through different lenses. My own teaching was often strengthened when members of my team shared how they perceived a learning situation or disgruntled parent very differently than I had. Having empathy toward and being supportive of one’s colleagues – I just had the opportunity to work alongside a great teacher for several days as she conducted a winter camp for students whose parents’ schedules didn’t match the start of the school’s holiday break. Several of the students struggled with social and emotional issues. As “incidences” occurred, she consistently brought struggling students together to listen to and communicate to each other “how they felt” and then explore how they could empathize and support each other. It was amazing to see how across the week the students began using the skills with less of her scaffolding. Part of providing facilitation and training in PLC practices should be raising teachers’ consciousness in practicing empathy and support with each other. Being a good critical thinker and problem solver – STEM, Project Based Learning, and Maker Spaces are bringing increased opportunities for students to practice critical thinking and problem-solving skills. Many teachers are identifying that these practices require a different set of teacher behaviors, often having to hold back on answers and support as students work through productive struggles. Teachers need to build classroom environments that encourage possibility thinking and trial and error learning. In many ways, school leaders need to take the same approaches in developing collaborative inquiry in PLCs and trial and error learning for teachers. Being able to make connections across complex ideas – Discussions have emerged for schools to provide more opportunities for students to be learning outside the silos of individual subject based courses and curriculum. Projects, real word problem-solving and internships are ways for students to see the complexity and interconnectedness of subject knowledge. Teachers need the same opportunities and can experience learning with their students. What opportunities exist for teachers to collaborate across curriculums and grade levels? 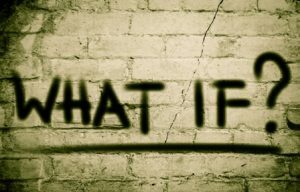 Moving our schools to ever greater learning possibilities for students will occur as empowered educators practice critical and creative thinking applied to the complex communities beyond the school walls. Consider reviewing this blog with your school leadership team. What opportunities for increasing teachers’ use of the critical soft skills should you be developing? How might you provide coaching on these skills? Which of these skills are you building to enhance your leadership capabilities? 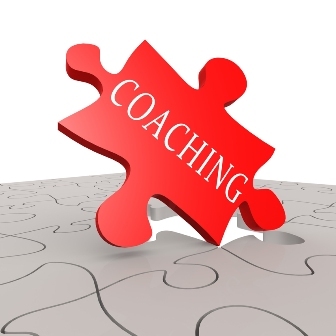 How can you request coaching? I was reading an article in the ISTE publication about this very same thing! I was thinking about having empathy. . . .a soft skill. . . Julia Cook did a workshop for us and I began to wonder about beginning teachers and classroom management. . . . Are these skills in play? Jan, I believe that empathy is a skill that needs to be practiced as other skills. We need to explore where do students find opportunities to practice and teachers opportunities to model. How do we examine empathy for students and parents part of teacher skill development? Steven, I read this article and plan to share it with our Mentor Specialist Group! The question becomes how does the mentor model these soft skills? How might understanding these skills impact Collective Efficacy? How do administrators demonstrate these skills as well? Thank you for your work!